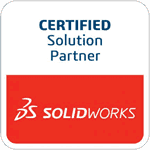 Springville, CA, November 18, 2010 – TEDCF Publishing, a SolidWorks Solutions Partner and Autodesk Authorized Developer, today announced the availability of training courses for SolidWorks 2010 and Autodesk Inventor 2011 using both Metric and English units. This replaces the English-only courses that were previously available. The Metric versions also feature the new lesson player that was released in TEDCF Publishing courses earlier this year. This lesson player makes it possible to view the lessons in full-screen and adjust the playback speed. More information on the newest versions of TEDCF Publishing’s Autodesk Inventor and SolidWorks courses.